The 2018 Volkswagen Atlas is a popular vehicle, and it’s easy to see why. The car combines power, performance, and safety features drivers from West Valley, Murray City, and Orem can’t get enough of. The question then becomes: which 2018 Volkswagen Atlas configuration is right for you? Our team at Volkswagen SouthTowne has done in-depth research on the different types of Volkswagen Atlas, and are here to answer all your questions. To learn more about the 2018 Volkswagen Atlas configurations, read on and get ready to start driving in style! 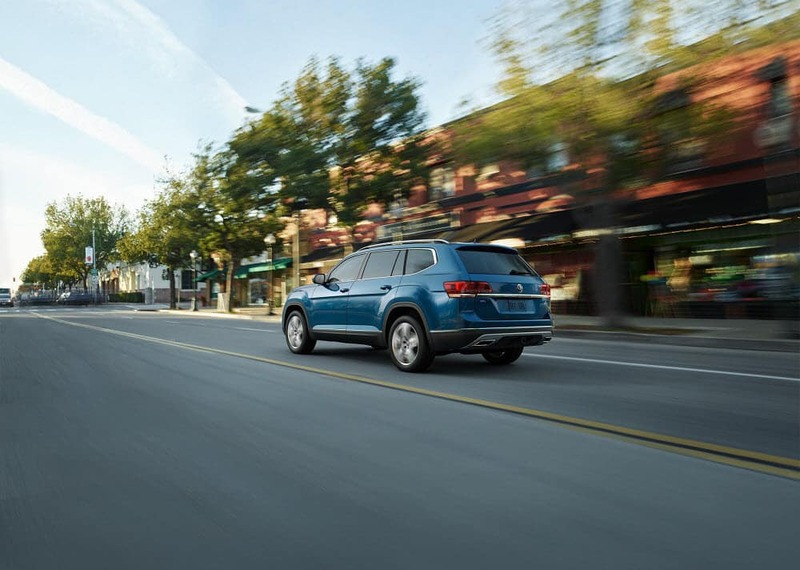 There are numerous Volkswagen Atlas configurations to choose from, so take a look and see which one is right for you! Volkswagen Atlas S: The 2018 Volkswagen S comes with a 2.0-liter Turbo engine that offers 235 horsepower, as well as an 8-speed automatic transmission with Sport and Tiptronic®, making for a smooth and powerful ride you’ll love. It includes LED headlights to illuminate your way, as well as a Blind Spot Monitor and Front Assist to help keep you safe and secure on the road. Volkswagen Atlas V6 SE: This powerful configuration comes with a zippy 3.6-liter V6 engine with 276 horsepower for speed you can feel. The available trailer hitch offers a 5,000-pound towing capacity with the Tow Hitch package when properly equipped, so you can pull whatever you need no matter the weight. Volkswagen Atlas V6 SE with Tech 4MOTION®: For a car with tons of features, you can’t go wrong with this configuration. It comes with 4MOTION® all-wheel drive, which is great for tough terrain and troublesome weather conditions. Adaptive Cruise Control helps you stay safe on even the longest drives, and the auto-dimming interior rearview mirror adds a touch of class and elegance to your cabin design. Volkswagen Atlas V6 SEL: This impressive configuration comes with a whole host of fun features that make it a great choice for your family vehicle. It provides drivers with a panoramic sunroof for maximum light in the cabin, an 8-inch touchscreen navigation system that will keep you on the right path, and Park Distance Control to make parking under any conditions a total breeze. 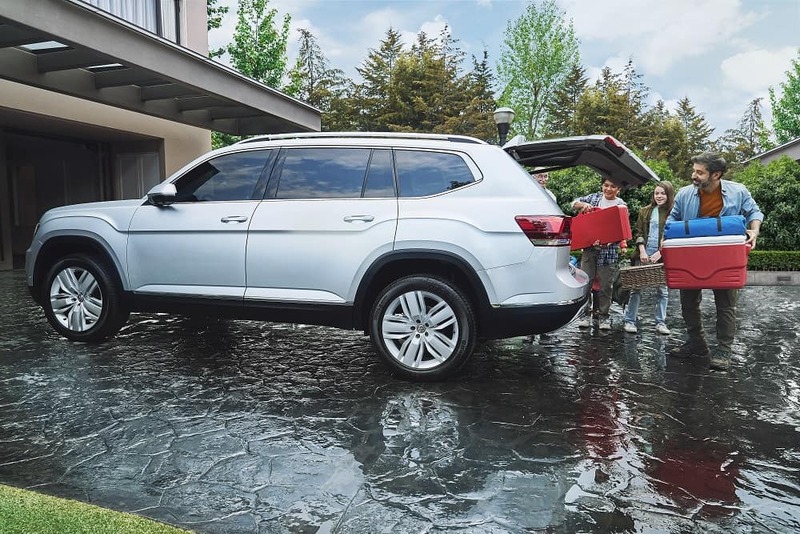 Volkswagen Atlas V6 SEL Premium with 4MOTION®: If you’re looking for a car with tons of great safety features, look no further. This configuration includes 4MOTION® all-wheel drive, as well as an Overhead View Camera (Area View) so you can keep an eye on everything going on around your vehicle. Best of all, there’s the VW Digital Cockpit, which helps keep drivers connected and in control no matter where they choose to travel. When all is said and done, there’s a great 2018 Volkswagen Atlas configuration for every driver. Ready to see which one is the best match for you? Then it’s time to swing by Volkswagen SouthTowne and schedule a test drive for yourself. Come take the 2018 Volkswagen Atlas for a spin, and see what drivers from West Valley, Murray City, and Orem are talking about!